The Communication Chairman’s responsibilities include the publication of the Club's monthly publication, the Club's web site and the annual Members Club Directory. 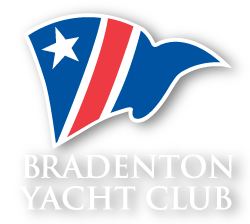 The Committee, which functions under the supervision of the Vice Commodore, is responsible for advising the membership and general public, when appropriate, of BYC activities and functions. This includes publishing periodic publications that may be required to keep the membership informed regarding Club affairs. This committee is required to report at each regular Board meeting. The Communication Committee Chair also serves as an active member of the Board of Directors. Jordan Chancey is a 6th generation resident of Manatee County, he enjoys all the recreational activities this area offers. His passion for the county is reflected in his career at Leslie Wells Realty, where he is a Broker/Associate and Property Manager. Originally from Ellenton, Jordan now resides in Heritage Bay with his wife Megan and their 3 children. They frequently enjoy afternoons and evenings at the Club where they can swim, have a great meal, and best of all spend time with friends, all just minutes from home. When it's time to work, a nice lunch at BYC is great way to show clients that we truly do live in paradise. Jordan looks forward to helping grow the Club by sharing his positive experiences with other young professionals and their families.